With winter roaring in at full speed, it’s time to brush up on your furnace maintenance skills. After all, you wouldn’t expect your car to run at top efficiency if you never change the oil, right? Yet all too often, furnace maintenance gets shoved to the side as we crank the heat higher and higher, forcing this hard-working appliance to work harder than it has to. And that spells higher energy bills all around—and it’s bound to break sooner, too. If the thought of a house with a broken furnace sends chills down your spine, follow these nine furnace maintenance tips so you can enjoy a lower gas bill this winter without walking around your house in a parka. We’d be remiss to not state the obvious here, which is that your furnace filter needs regular attention. “Make sure your filter is clean! This is a very simple and inexpensive way to help your HVAC system run more efficiently,” says Jeff Trucksa of K & J Heating and Cooling. Your furnace filter should be changed at least once each season, but if you have pets, a lot of dust, or allergies, consider changing it every 30 to 60 days. The first step in changing your filter is finding it, which can be more difficult than you might expect. It could be inside the cabinet of the furnace, between the furnace and the ductwork, or inside the ductwork itself. Turn off the furnace before you go hunting, and call your local HVAC company for help if you can’t find it. Once you’ve located the filter, it’s as easy as sliding the old filter out and sliding the new filter in, using the markings on the filter to make sure it’s facing the right direction. There are actually two kinds of vents connected to your furnace: supply vents and return vents. Return vents pull air from inside your home and deliver it to the furnace, and supply vents blow that now-warm air back into your home. There are a few ways to identify the return air vents if you’re not sure which ones they are. Return vents are usually larger than supply vents, they don’t have louvers to close them, and when your furnace is running, you won’t feel warm air from return vents. It’s easy to overlook your home’s duct system—it is hidden, after all—but Nate Burlando, owner of Distinct Heating and Cooling, says it shouldn’t be ignored. Having your ducts cleaned may be costly, but it might be worth it if you think you’re not getting enough from your furnace. 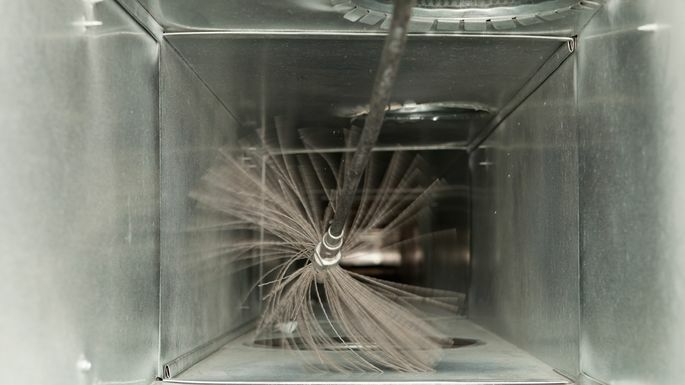 While duct cleaning is not part of an annual furnace service, the HVAC specialist who does that check can let you know if yours needs to be cleaned. No matter how great you are at changing a filter, you should still have your furnace serviced by a professional at least once a year. According to Bell Bros. HVAC, up to 75% of no-heat calls made to heating and cooling companies are the direct result of ignoring regular maintenance. An expert can find issues that lessen efficiency, like faulty pilot lights. The pro will also keep an eye out for dangerous problems like a cracked heat exchanger, which can result in carbon monoxide leaking into your home. Furnace maintenance is about how all your heating and cooling elements work together. For instance, while you may think ceiling fans are only for the summer months, that’s not true. John Burkhardt of Burkhardt Air Conditioning, Heating, and Refrigeration says you should run them in the winter, too. 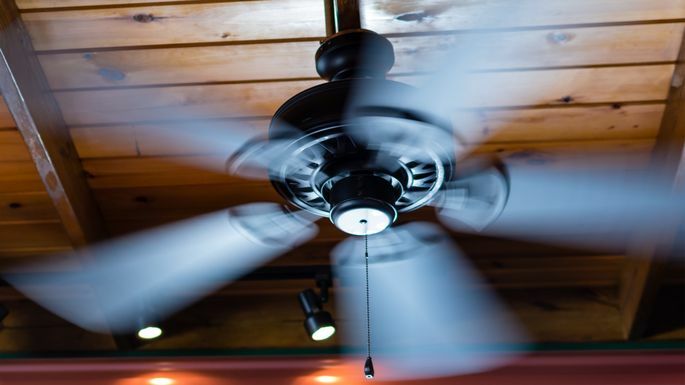 “Since hot air rises, running your ceiling fans in the reverse direction will push hot air from the ceiling down into the occupied space in your home,” he says. Newer fans usually have a button on the motor housing that reverses the motor, while older models may require you to pull the cord until the direction switches. In the winter, your ceiling fan should be turning in a clockwise direction, so keep making adjustments until you see your blades moving in that direction. While ceiling fans may be a good idea during the winter months, exhaust fans aren’t. Since heat rises, a lot of the heat your furnace is putting out ends up in the attic—and eventually finds its way out through your roof. So sealing your attic and adding insulation to keep the heat out will make a big difference. According to Energy Star, sealing your attic is not an easy task, and adding insulation can be tricky as well. If you’re a confident home-DIYer, you can attempt it, but it may be better (and more efficient) to call in the professionals for this job. 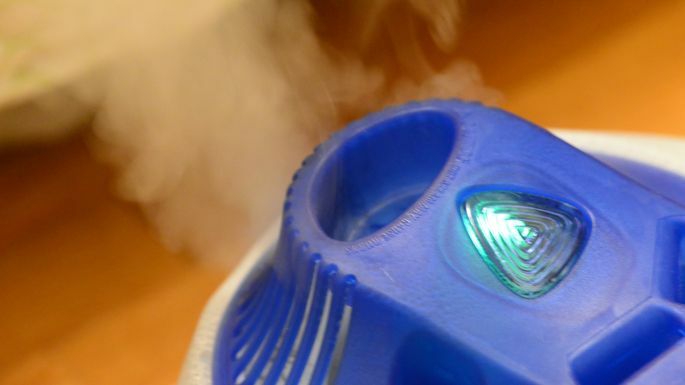 Running the furnace all winter can dry out your skin, but that’s not actually the reason we’re recommending you run a humidifier during the colder months. According to Bolden Brothers Plumbing, Heating, and Air, dry air actually feels cooler than more humid air. That means you’re working your furnace harder by cranking it up, when a little humidity would have done the trick. Your skin and your gas bill will thank you. These things are more than just trendy gadgets.